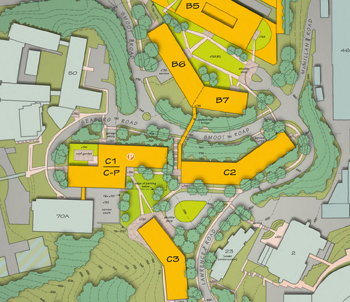 The Site-Wide Massing Study investigates development opportunities for future facilities, parking, pedestrian circulation, open space, and grading for four areas at the Lawrence Berkeley National Laboratory. 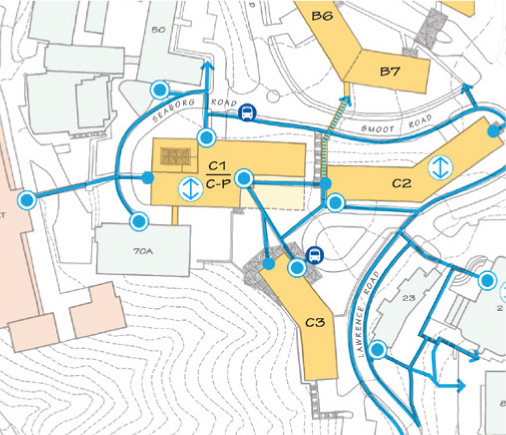 The study facilitates the laboratory’s assessment of possible sites for pending research and programming scenarios – and the ability to determine time lines for site clean-up and usability, anticipate building phasing opportunities for movement of staff as well as functional adaptations (e.g. cafeteria), support development decisions based on informed investigation and thinking, and prepare presentations for Department of Energy and UC Office of the President about the readiness of the laboratory site for future funding sources. This study is consistent with the Long Range Development Plan (LRDP) and the LRDP Environmental Impact Report.